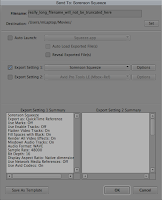 Avid tips and tricks for a more efficient DV workflow. 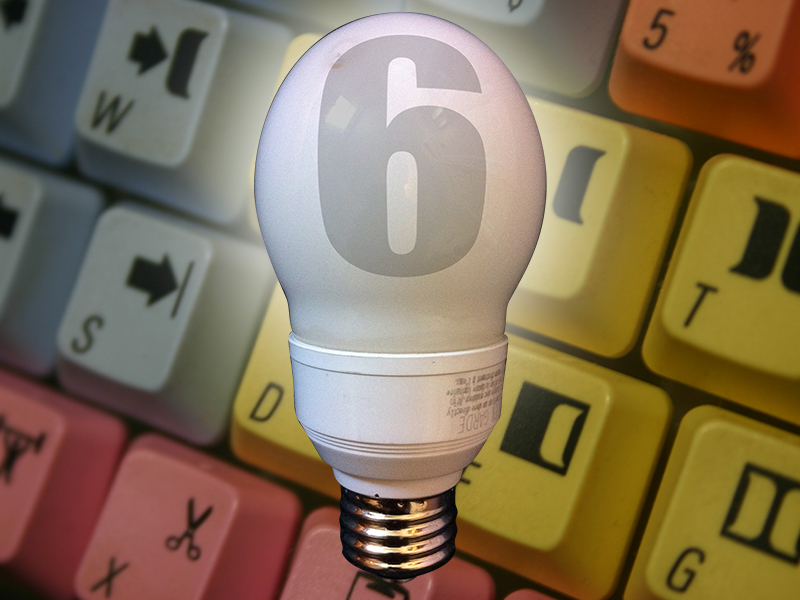 This week's collection of Avid Editing Tips and Tricks is the sixth part of the series. I will continue to add to this series as I think of new (and old) tips and tricks. As always, if you have any comments or suggestions, you can reach me through the comments of this blog, through Google+, LinkedIn or Twitter using the @mBlazeVideo handle. The Avid "Send To..." dialog. Maintaining Exported Filenames Longer than 27 Characters - From reading posts in various Avid forums, it's safe to say that many editors are frustrated by the way Avid truncates any filenames over 27 characters when exporting. This tip is a technique to maintain long export filenames. 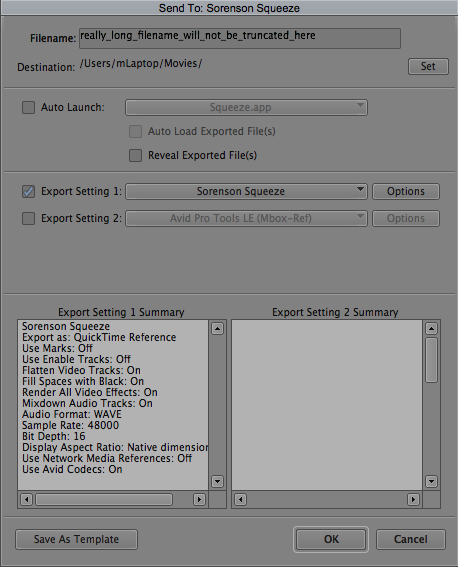 Instead of using the Export command, use the "Send To... > Encoding > Sorenson Squeeze" command. This can be set up to use any Export setting and maintains long filenames. The added advantage to using the Send To function is that you can use two separate Export settings simultaneously. Moving Segments in the Timeline by 1 or 10 Frames - If you need to move a segment in the timeline, you can do so with the keyboard. While in segment mode, you can move the segment 1 or 10 frames in either direction by using the trim 1 frame or trim 10 frames button. By default, these are the M key for 10 frames back, the comma key for 1 frame back, the period key for 1 frame forward and the question mark key for 10 frames forward. Soft Shadow in the Title Tool. Soft Drop-Shadows in Title Tool - Okay, this is probably one that everyone knows, but I just found it, so I'm entering it here. In my own defense, it is a hidden feature. Everything else is in the toolbar of the Title Tool except for this. Hitting the SHIFT-COMMAND-H keys while in Title Tool, brings up a dialog to soften shadows. This can also be accessed under the "Object" menu. Continuous Loop Play - This one has been around almost since the beginning. If you want to play a clip and have it loop continuously, mark an IN at the head of the clip, an OUT at the tail and hit OPTION-PLAY IN TO OUT button. By default, the PLAY IN TO OUT is the 6 key on the keyboard. Add dissolves to top layer only. Fades on Composite Layers - I'm always surprised when I see editors who still add dissolves to every layer of a composite. The most efficient way to dissolve into a composite is to add the dissolve to the top layer only, but in order to avoid the lower layers showing through at the start of the dissolve, dissolve from a black slug instead of dissolving from filler. I use the same technique in Adobe After Effects. This series will continue as I collect additional tips and tricks for the Avid Media Composer editing system. Please feel free to contact me with any suggestions for future tips and tricks.